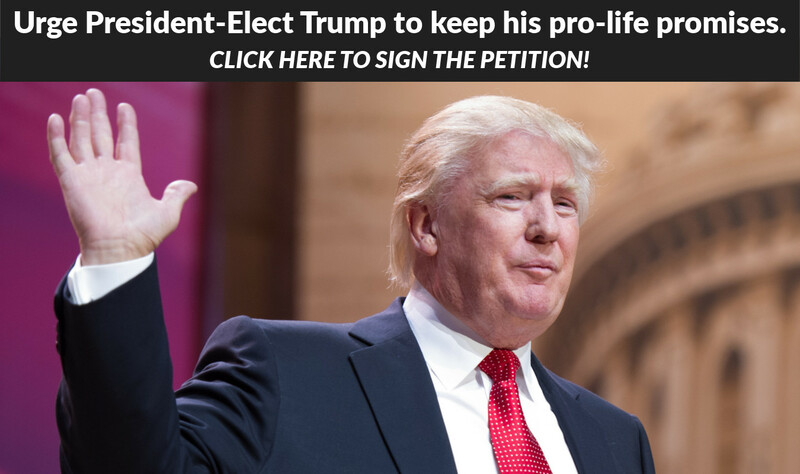 November 14, 2016 (LifeSiteNews) – Leading advocates of natural marriage are taking issue with President-elect Donald Trump’s assertion in a CBS “60 Minutes” interview Sunday that the Supreme Court’s Obergefell ruling endorsing homosexual “marriage” is “settled” law—while Trump supports the reversal of Roe v Wade. That contradicts statements Trump made on the campaign trail supporting a reversal of Obergefell, and appealing to “faith” voters for whom the imposition of radically redefined marriage is a major issue. In February, leading up to the South Carolina GOP primary, Trump called Obergefell a “shocking decision” and told Christian Broadcasting Network reporter David Brody that evangelicals could trust him to stand up for traditional marriage. I think they can trust me. They can trust me on traditional marriage…I was very much in favor of having the court rule that it goes to states and let the states decide. And that was a shocking decision for you and for me and for a lot of other people. But I was very much in favor of letting the states decide. Prior to the Supreme Court’s Obergefell ruling, 31 states had passed amendments upholding natural marriage and barring recognition of genderless “marriage” in their respective states. All were negated by the high court ruling, though in Alabama there is an ongoing legal battle led by Judge Roy Moore to preserve the authority of the state’s marriage amendment. STAHL: During the campaign, you said that you would appoint justices who were against abortion rights. Will you appoint — are you looking to appoint a justice who wants to overturn Roe v. Wade? TRUMP: Yeah, well, they’ll perhaps have to go, they’ll have to go to another state. Even the strongly pro-LGBTQ Washington Post recognized the irony of Trump’s lax position on reversing the Court’s “gay marriage” ruling while voicing support for overturning Roe v. Wade—which, in tandem with a parallel case, Doe v. Bolton, legalized abortion-on-demand in the United States in 1973. That observation is a largely unspoken reality--not just of the Trump campaign but the overall pro-life/pro-family movement. To the delight of GOP libertarians, homosexual “marriage” fell off as a major election issue and was far less discussed this election cycle than right-to-life issues (which also received scant coverage). Moreover, the pro-life movement is far better financed and organized than the rag-tag army of groups fighting the immensely well-funded and powerful homosexual-transgender activist lobby. The New York Times reported in April that Trump was easily the most pro-“gay” candidate in the GOP’s presidential field. Raised in New York City—a Mecca of “gay liberation”--Trump has a long history of taking liberal positions on homosexual “rights.” In an interview with the homosexual magazine The Advocate in 2000, mulling a Reform Party run for president, he was to the left of leading Democratic candidates in calling for adding homosexuality to the 1964 Civil Rights Act. However, in his recent, victorious campaign, Trump promised many times to defend religious liberty, which many Christians believe has been undermined by “gay rights” lawsuits, so it is doubtful that Trump would take such a radical tack today as making “sexual orientation” a federal civil right. We do not accept the Supreme Court's redefinition of marriage, and we urge its reversal, whether through judicial reconsideration or a constitutional amendment returning control over marriage to the states.